management of obstructive sleep apnea (OSA) in adults were incorporated into the development of this guideline. generally acceptable at 80% to 90%). Adapted from Sackett DL. Rules of evidence and clinical recommendations for the management of patients. Can J Cardiol 1993;9:487-9. Strength of the Evidence» and the «Rating Scheme for the Strength of the Recommendations» fields). evaluation, management, and long-term care of adult patients with OSA. meetings where members of the panel presented reviews of the current literature on consensus topics. force members voted on all questions. If a first round vote was inconclusive, a second anonymous vote was conducted. implies the use of Level II evidence or a consensus of Level III evidence. or conflicting evidence or conflicting expert opinion. American College of Physicians; 1992. The Board of Directors of the American Academy of Sleep Medicine approved these recommendations. sleep oriented history and physical examination, and findings identified by sleep testing (Standard). drivers); and those being evaluated for bariatric surgery (Consensus). on this OSA screen should lead to a more comprehensive sleep history and physical examination. pulmonale, decreased daytime alertness, and motor vehicle accidents, should also be obtained (Consensus). the procedure involved in any testing (Consensus). positive airway pressure (CPAP) therapies (Consensus). symptoms continue to be resolved with CPAP treatment (Option). state credentialing and licensing regulations. accreditation by the AASM (Consensus). for RDI > 30/hr (Consensus). 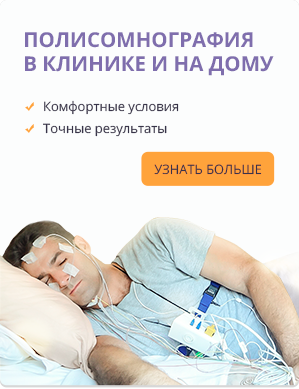 individual who fulfills the eligibility criteria for the sleep medicine certification examination (Consensus). reliability must be in place to assure accuracy and reliability. inadequate or fails to establish the diagnosis of OSA in patients with a high pretest probability (Consensus). optimal treatment, the patient may require an evaluation for possible narcolepsy, including the MSLT (Guideline). is not recommended to diagnose OSA. providers. In addition, videotapes, handouts, websites, and brochures can be employed (Consensus). outcomes should also be assessed as described below. initiation, management, and follow-up of CPAP is summarized in Figure 2 in the original guideline document. [COPD], central sleep apnea syndromes, or hypoventilation syndromes) (Option). BPAP, pressure relief, or APAP can be considered in the management of OSA in CPAP-intolerant patients (Consensus). events are mainly minor and reversible (Standard). assessment described above and in Table 6 of the original guideline document should be performed at follow-up visits. management, and follow-up of behavioral treatment is summarized in Figure 3 of the original guideline document. PAP therapy is still needed or whether adjustments in PAP level are necessary (Standard). summarized in Figure 4 in the original guideline document. patients for whom these operations are predicted to be highly effective in treating sleep apnea (Guideline). diagnosis, treatment, and follow-up of OSA while using an OA (Option). OAs can be rendered ineffective by patient alteration of the device (Option). educators, support groups, and sleep specialists (Consensus). This guideline does not apply to surgical therapy for primary snoring. complications and alternative treatments (Consensus). anatomy that is surgically correctible (e.g., tonsillar hypertrophy obstructing the pharyngeal airway) (Consensus). inadequate, such as when the patient is intolerant of PAP, or PAP therapy is unable to eliminate OSA (Consensus). deficiencies compromise other therapies or to improve tolerance of other OSA treatments (Consensus). Tracheostomy can eliminate OSA but does not appropriately treat central hypoventilation syndromes (Consensus). uvulopalatoplasty is not recommended for the treatment of obstructive sleep apnea (Guideline). of surgery on PAP or OA tolerance, adherence, and symptom resolution (Consensus). such as PAP for patients who have OSA and meet the currently published guidelines for bariatric surgery(Consensus). emphasizing the need for ongoing clinical follow-up of these patients. OSA and concurrent rhinitis, and thus may be a useful adjunct to primary therapies for OSA (Guideline). apneas and may potentially worsen nocturnal hypercapnia in patients with comorbid respiratory disease. of the original guideline document. to determine what degree of care for OSA is acceptable to the patient and achievable as a long-term care plan.